Those are 3 words that I would use to describe our Thanksgiving weekend, in a nutshell. The thing is, we were planning on doing yard work this weekend in prep for winter. There were trees to transplant, pumpkins to pick, furniture and toys to put away and a pool to cover. But no, winter decided to come early and leave our plans frozen. Literally. Rock solid. Yuck. So instead we got some house work done and then decided to head to my parents' for a night. In the end, our Thanksgiving turned out to be a wonderful day spent with family. We had Grandma and Grandpa to ourselves for awhile until my Grandpa arrived. The kids had a great time playing rummoli (sp?) with him and playing games with their grandparents. Mom was serving an earlier supper and had also invited Dan's parents over, so it was great to have the house filled with all the Grandparents. Little did I know, but my sister and her fam decided to show up and we were pleasantly surprised with more people to give thanks with. Actually, that was the highlight of my weekend- weird when I see her all the time...but just actually being surprised and it being Thanksgiving. The house was packed with family, there was the aroma of great food, the giggles of kids as they played and it really put me into the Thanksgiving spirit. If there is such a thing. When Kinsey and Addy ran into the house (they also didn't know they were coming and were super excited) it was loud and filled with the giggles and screams of little girls who were so pumped to see their cousins. Funny how they react like this when they see each other multiple times during a week. It reminded me so much of spending holidays at my Grandparents' homes and how much I would forward to spending time with my cousins. Mom served up another fantastic meal with all her signature dishes and we broke break together in gratitude for the many blessings we have been given in our lives. The unexpected joys of being surrounded by your loved ones was a beautiful way to celebrate Thanksgiving weekend...and what made it even better? Watching the Jays sweep the series and all bursting into (silent) cheers (because the kids were sleeping). I have never seen a more exuberant bunch of mimes. Cheers to you and yours, have a wonderful weekend. Thanksgiving from Dee on Vimeo. Girl, I enjoyed that so much! 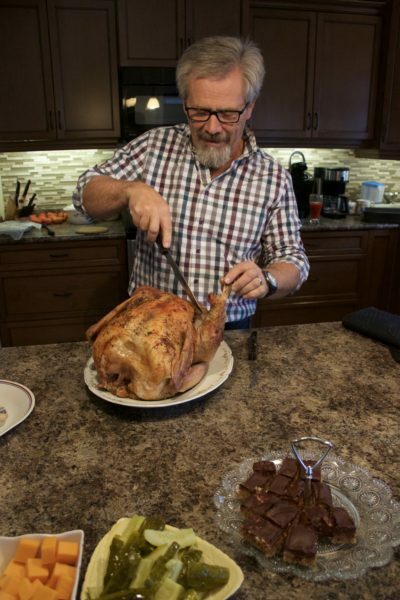 Your family does it right and look at your cute daddy carving up that bird! Looks delicious! I love your and your mama's sparkly balls and I love getting a glimpse inside your special family Thanksgiving! 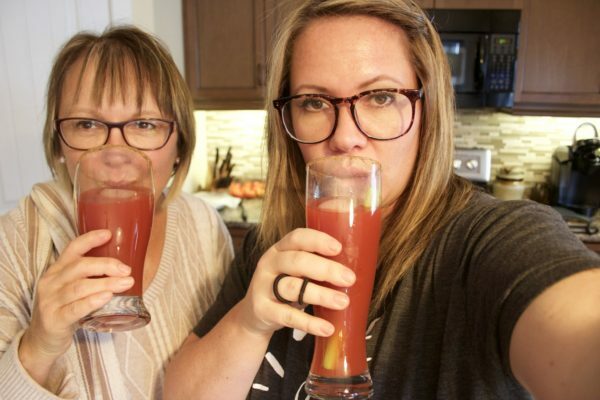 Don't work too hard out in the yard and cheers to more giggles and family fun! Looks like the best kind of Thanksgiving! I love how your kids have that relationship with their cousins. I miss that. I am going to creep you out but I LOVE ALL THINGS CANADIAN. 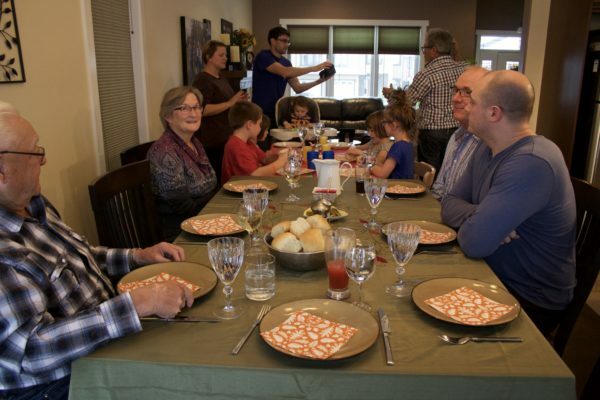 So much so I thought about having a Canadian Thanksgiving and having a history lesson with Connor. As a full blooded American with no connections to Canada I figured I should skip the occasion. 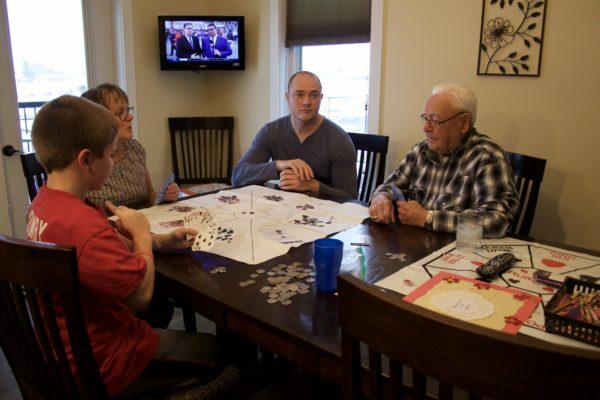 Playing games with the family on Thanksgiving - can't get any better than that :)! Oh my goodness, Love your videos you've been doing. Happy Thanksgiving friend. YUmmmM!!!! SO much good food and family fun! You need snapchat...I feel you would master it in a second. All the hair videos you could do! I wish my kids had more cousins! OHHHHH you totally should have! I serve turkey on American Thanksgiving..although I have never figured out why it's so close to Christmas. I could have totally been a guest teacher on the history lessons. Did you know that we celebrate Thanksgiving at the end of harvest and that this year there are billions in crops left on the fields in Saskatchewan because of the early snow?And also, that farmers can still harvest their crops with snow!???!! You are now my honourary canadian adopted american blogger and you can come live with me after the election ;) Our health care is free. And our money is plastic. Glad you liked the videos...it,s kinda fun to see into someone's life! The kind that leaves you pleased but 5 lbs heavier. Yup. All that pie. This makes me so excited for our thanksgiving! It looks like you had the best time! What a great day. I am totally jealous that y'all have time to enjoy fall after Thanksgiving. I hate that America dives straight into Christmas.